The fifth instalment of popular TV reality show 'Bigg Boss' will start from tomorrow, it promises to get bigger and better with tons of drama and manipulation. The house location is changed to Karjat from Lonavala, with two star hosts --Salman and Sanjay . Interior designer Shayam Bhatia has designed the 9,000 square feet house. This time there are two separate bedrooms, in last season there was a single bedroom where all 14 housemates stayed. The bedrooms have been done in shades of green and fuchsia with a hint of white, brown and yellow. The confession room varies with a shade of royal green & the jail concept is back and black. Open kitchen is connected to a dining room that extends to the garden area. The outdoor spot consists of a gymnasium, pool, the activity area and the kitchen sink. There will be a special bedroom for the Head-of-House who will get special privileges. This season there will be over 55 cameras following every move of the contestants 24x7. She is well known as beau of Raja Chaudhary (Shweta Tiwari's estranged husband). She is in news for all wrong reasons. Raja assaulted her after the couple had a heated argument and then Shraddha was severely beaten up by him and suffered bruises and scratches all over her body. Still they are in live-in relationship. Like every year, colors roped a transgender, Laxmi is well known social activist. She will continues the tradition of representing sexual transgender minorities on the show which started with actor Bobby Darling, followed by designer Rohit Verma and Begum Nawazish Althat. Pooja shot to fame with her stint in Jo Jeeta Wohi Sikandar, she was part of reality shows like ‘Jhalak Dikhla Jaa’, ‘Nach Baliye’, ‘Khatron Ke Khiladi’ and was last seen in ‘Maa Exchange’.She had hosted the Saturday special episode of Bigg Boss season 2 where she interviewed the evicted contestants and this season we will see her participate in it. Last year Bigg Boss dishes out Pamela Anderson cleavage like hot cakes, this year the channel has roped in popular singer Shakira for a guest appearance. She is supposed to stay for five days. 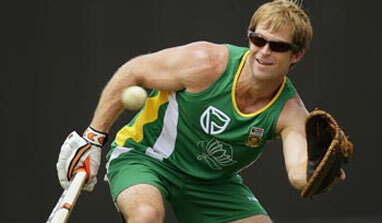 42 years old Jonty is frmer South African cricketer Jonty Rhodes. The flamboyant cricketer was part of the South African cricket team from 1992-2003 and was best known for his superb fielding. Amar is well known as Mihir Virani of Ekta Kapoor’s Epic show Kyunki Saas Bhi Kabhi Bahu Thi.He left Telivision for Bollywood, did a few flop/super flop movies. 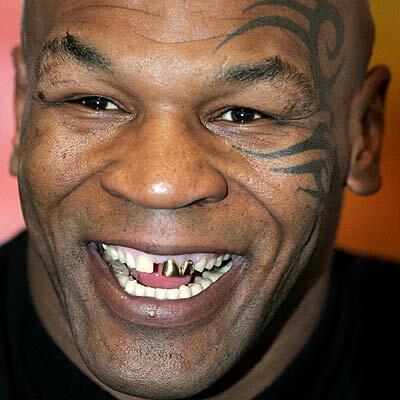 Mike is former world heavyweight boxing champion. He is highly successful American boxer was known for his argumentative and aggressive behaviour inside and outside the ring. He made his Bollywood debut in 2007, in a music video for a Hindi film called Fool-n-Final, a comedy centred on a bunch of criminals. This is a dangerous sign for the Indian way of life. The move by Color TV (funded by Christian Evangelists) is tarnishing the Indian value system and ethos. This is pure glorification of crime and criminals. Just look at the people involved Sanjay Dutt (new islam convert and islamic terror sympathizer and supporter), Salman Khan (underworld agent and killer of innocent people through his bad driving) and now Mrs Shobraj. I guess the next season will feature Kasab and after following season Dawood. Jai Ho India! !